This material was first taught to a group of older elementary students. Be sure to make appropriate modifications if you plan to teach in a different age level class. This is part 2 of a 4-part series titled The Hardship and Glory of Service to Christ. Use these links to find the other lessons in this series. Main Idea: God has given believers the magnificent treasure of the Gospel, and it is only through His power that the Gospel transforms lives. He has chosen to use us, worthless vessels, to spread the ministry of the New Covenant. Gospel Connection: The Gospel is the treasure we have received that allows us to have the knowledge of the glory of God. A result of the Gospel is gaining this knowledge personally through a relationship with God Himself. God has chosen His people to be vessels that proclaim this knowledge, though it is only through His power that people are transformed, to His glory. 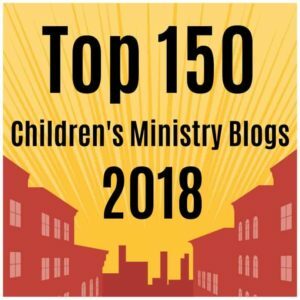 Learning Aim: After this lesson, students will know that when they accept Christ, they receive a magnificent treasure, the knowledge of the glory of God. This knowledge has been granted to us through Christ for God’s glory, that we may proclaim it to all peoples. Look for the Learning Outcome Test section in our Basic Teaching Plan below. Find an old jar or vase that looks completely worthless. 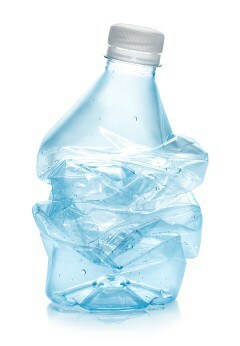 An empty milk carton or plastic bottle would also work. Inside, place something of great worth, like jewelry, money, or even a beautiful bouquet of flowers. If you choose to use a vase, one that leaks water would be perfect for the object lesson. Marker board (or poster sheet) with the memory verse written out. A copy of the Scripture passage for each student, they will be marking portions during the study. Other supplies may be needed for the optional activities. Please read them carefully if you plan to add them to the lesson plan. Display the ugly, worthless vase with a beautiful bouquet of flowers. SAY: What do you think of this vase? (Allow time for thoughts) It is very ugly, dirty. It leaks water, making it worthless as a vase. What would you think about placing this beautiful bouquet of flowers in such a worthless vase? (Allow time for response) The vase does not deserve the beauty of the these flowers! 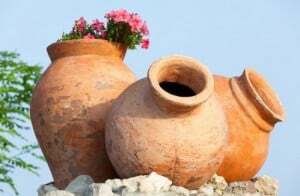 SAY: Today’s Scripture passage speaks of jars of clay or earthen vessels. These were valueless containers in the Bible, just like this vase. Listen closely as we study it together to find out how we are like these jars of clay. One essential aspect of living in service to Christ is sharing the Gospel, which is sometimes called “the New Covenant.”In the New Covenant, the veil of separation has been torn between us and God. We are able to know God personally and have a relationship with Him. Our ministry or service to Christ is about sharing our knowledge of the New Covenant with all peoples! This is an awesome truth that is a treasure and brings light to the hearts of those who accept Christ! Ask for volunteers to read 2 Corinthians 4:1-7. This passage is written out at the end of the lesson to make things easy, feel free to use the translation of your choice. Give each student a copy of the 7 verses. Ask them to look at each verse as you go through and discuss them, highlighting/writing things they want to remember. v.4 SAY: Verse 4 tells us that their minds are blinded, unable to see the light of glory of Christ, a glory beyond comparison, the glory of the one and only God. v.7 SAY: The knowledge of the New Covenant has shone light into their hearts, unveiling them to God’s glory. This knowledge is through Christ, and it is their treasure. Paul recognizes their worthlessness before God, but He has chosen to give them this valuable truth, to free them from their sins and bring them to Him in order to show His surpassing greatness. As His servants, He has chosen them, jars of clay, to spread this truth. SAY: This treasure is for us if we accept Christ Jesus as our Savior and Lord. When we become followers of Christ, the veil in our hearts is torn and our darkened hearts are filled with light. This light is the knowledge of the glory of God that we have heard about through God’s Word and that we begin to experience as believers through our worship and prayers. Bring out the vase once more. SAY: v. 7 Jars of clay were valueless containers, readily discarded, being cheap and always available to people in Paul’s day. The difference between these worthless jars and the treasure of Christ is huge! Paul’s main purpose in calling himself and the apostles jars of clay is to reveal that human weakness presents no barrier to the purpose of God. The worthlessness of the vessels is evidence that the magnificent power which occurs when the Gospel is preached, the change that takes place in human lives, is God’s and not the apostles. SAY: We are like this vase. Just as this vase is completely undeserving of this beautiful bouquet of flowers, we are utterly undeserving of the treasure of Christ. But God has chosen us! He has chosen you and me to share the awesome and amazing truth of His love and grace! As we realize how weak and undeserving we are, I want you to see how great God’s love and grace is for you, that He would still choose to use you to share His Word with all peoples. Let’s close our eyes and reflect on this truth together now. Allow them to sit for one full minute in reflection. It will seem to pass by slowly, but resist the temptation to speak, even if the moment feels awkward. Times like this help teach students the beauty of stillness before the Lord. At times it is only through disciplined stillness before Him that we can hear Him speak. When the minute is up, close the time in prayer. Learning Outcome Test: Have your students describe what this looks like in their lives day to day, really stressing the application of it, what it would look like to humbly realize the greatness of God’s gift in Christ and allow that to motivate us to boldly share our faith. The following suggestions will help you expand and customize our basic lessons. We always value your opinion, so leave a comment and help make this resource better for other readers. Memory verse: Ask for a volunteer to read the memory verse aloud from the marker board. Work on memorizing it together. Use any of our creative methods for memorizing Scripture. Craft: Make jars of clay for students to take home as a reminder of this Scripture. Write the Scripture reference “2 Corinthians 4:7” on each jar. Spreading the Gospel: Ask your students to think of ways they can share the great truth of the New Covenant to others. Have them write their ideas on a marker board. Discuss fears in sharing the Gospel. Ask: Why do you think we are so afraid to share this light of the knowledge of the glory of God? Remind your students that unbelievers respond in negative ways because the veil has not been removed from their hearts. They are blind to the truth. Because our hearts have been unveiled, we know God is the One, true God and can have confidence in standing for Him as we spread His Word. Light: Illustrate the light the knowledge of God brings to our hearts. Make your classroom completely dark. State: Before Christ, our hearts are in darkness. We do not see clearly who God is, and His glory is hidden from us. Shine a flashlight on your face. Ask: What can you see? [Your face!] State: Just as you can now plainly see my face, when we believe and trust in Christ for our salvation, the light of His truth allows us to see God and His glory fully and clearly. Real Life Application: Tell a story of a missionary or some individual who really was not anything special but God used them in a mighty way to spread the gospel because they gave themselves fully to Him. William Carey or Bill Wallace might be good example. Tony Kummer (Editor) reviewed & updated this page on : February 18, 2019 at 7:01 pm. All our content is peer reviewed by our readers, simply leave a comment on any post suggest an update.